Over the past couple months I've noticed that every few books, despite my feelings toward them, get pushed farther and father back in terms of writing a review - and the farther back from the read date they get pushed back, my notes make less and less sense. I don't know why it happens, but it does. Maybe I have too much to say and don't know how to pick out the important things or maybe I don't have enough to say. Or maybe the laziness in me just wins out. Who knows. 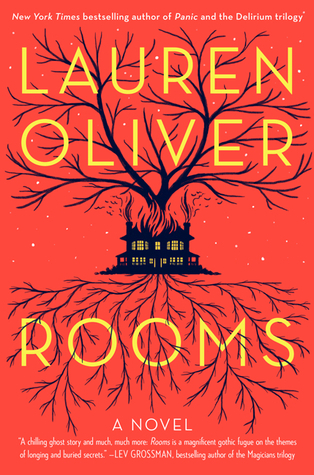 Lauren drags the story out (in a good way), allowing the reader to get to know each character on their own and through the eyes of others. She keeps the secrets close to her chest and drops knowledge bombs out at just the right moment. This isn't a spooky horror story, but a realistic story that examines the lives (even of the dead), of these characters and brings to light that sometimes life isn't all sunshine and puppy dogs. Freddie once told me that the Devil created all the fear in the world. But then, the Devil once told me that it's easier to forgive someone for scaring you than for making you cry. The problem with River West Redding was that he'd done both to me. I absolutely love Between the Devil and Deep Blue Sea and I almost wish April had left it at that. 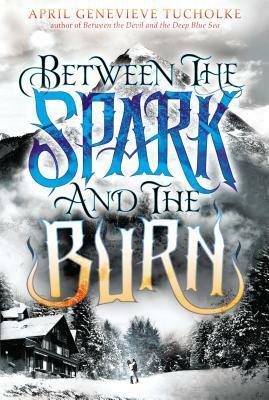 I'm not entirely sure what happened during Between the Spark and the Burn, but I felt unfilled, let down, and confused upon finishing. 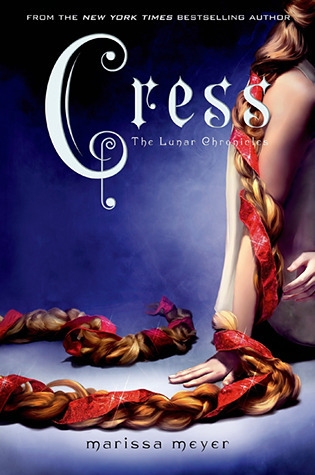 The magic, mystery, and intensity was missing from the second half of this duology. April's writing style is still excellent and engaging, but plot wise I feel like she lost momentum somewhere around the middle. I kept waiting for something to happen, but it was a lot of . . . nothing. The twist was lackluster - and while I didn't see it coming - it felt as if the character's did. It happened and their reaction was "Oh, well that's interesting" and then they moved on with their lives. I really wanted to love Between the Spark and the Burn as much as I did Between the Devil and Deep Blue Sea, and there were aspects I enjoyed but overall I wanted more. I think I'm giving up on this series. I felt iffy about The Young Elites, but stuck it out until the end in hopes that it would improve. 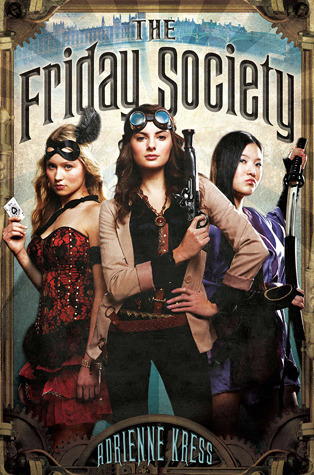 Luckily it did, but I didn't feel the same gumption for The Rose Society. This series is wonderfully written with compelling characters, an engaging and fast moving plot, and enough tensity to make you want to pull your hair out. I just couldn't really get into it. 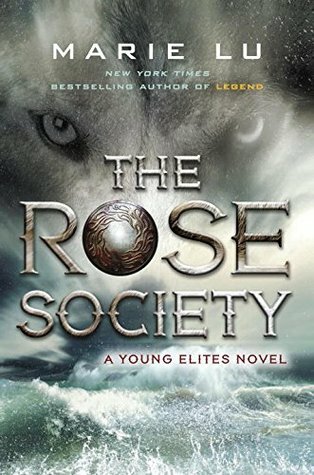 I finished The Rose Society because of my love for The Young Elites, but by the time I finished it my feelings were "meh." Marie is taking these characters on an intriguing journey full of grey area and I do think you should give this series a chance if you haven't already. Katie and I started out great - can we just talk about how much I love Pushing the Limits and Dare You To? - but after that we slowly started to drift apart. 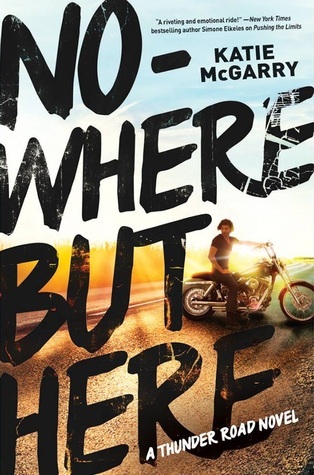 Things got cliche and stagnant, which is why I was so glad that Nowhere But Here is set in a different world. Well, not really a different world, but one apart from her Pushing the Limits characters. Oz isn't a bad boy in need of redemption and Emily isn't a troubled girl who needs saving. Not that any of the other girls needed saving, but you know what I mean. However, despite that I didn't feel myself particularly drawn into the story of the characters. I will fully admit though, that they may have been in part of the narrators, which is unfortunate. They were good, but seemed far too old to be voicing 18 and 17 year old individuals, but sounded more like they were in their late 20s. Narrators aside, I do think Katie has gotten a new gusto with this series. It wasn't about redemption and troubled lives, but about family and what it means to be one, both via blood and water. The romance isn't instalove and it takes Oz and Emily a long time to admit their feelings for one another. I really enjoyed the minor characters and well and I'm interested to see how Katie is going tackle this issue of cyber-bulling in Walk the Edge.